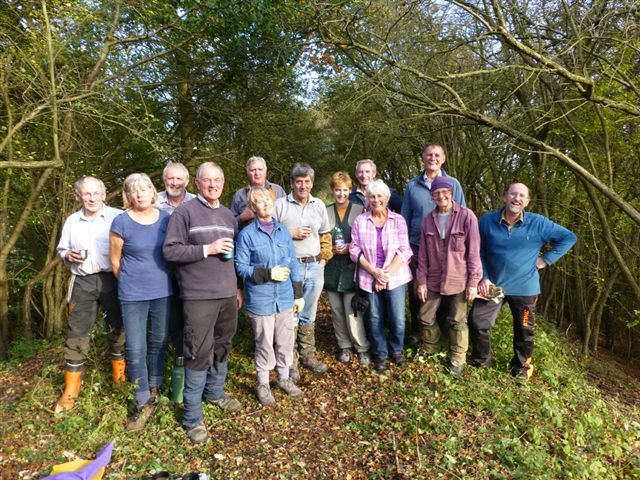 Throughout October/November 2015 volunteers from the Butterfly Conservation Warwickshire worked on tree felling on two areas of the South facing embankments. 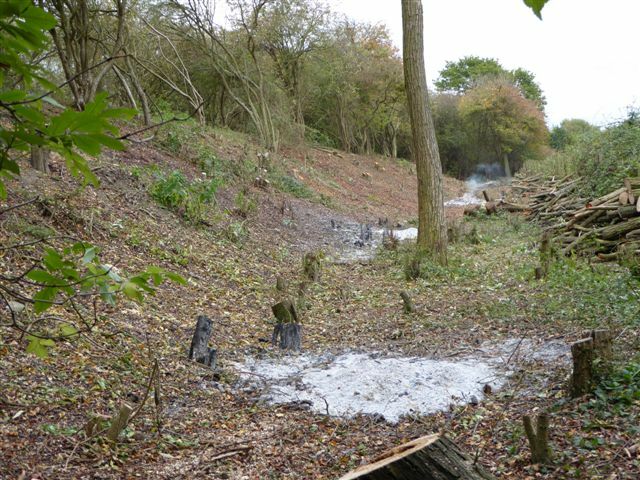 This was a very demanding job which will ultimately produce a wonderful area for wildlife – particularly for the Chalk Hill Blue and Adonis Blue butterfly which were once seen here. 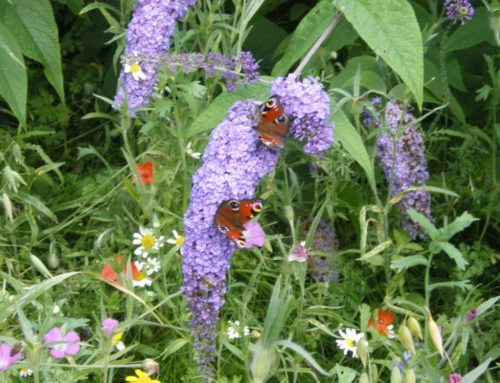 We are all working towards this by sowing Horseshoe Vetch and Kidney Vetch plus other plants that will encourage them. 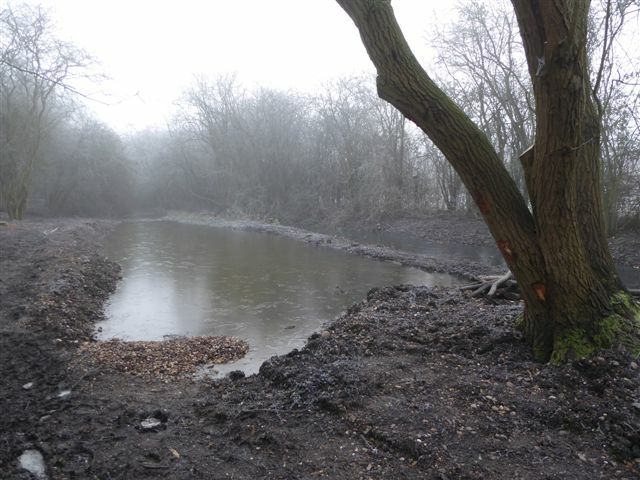 In December 2015 three ponds were excavated on the Eastern side of the Railway Reserve. 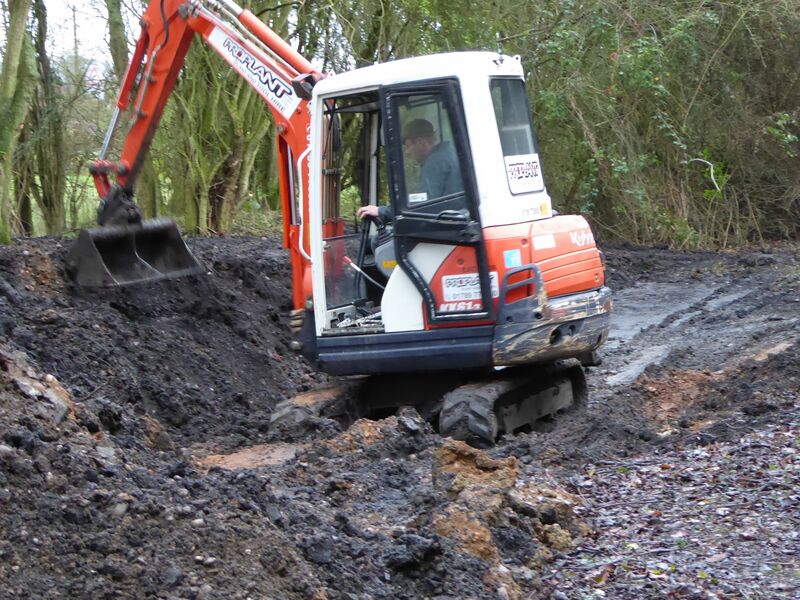 These will complete the reserve enabling us to record so many other species such as Dragon Fly, Damsel Fly etc. 2016 looks to be a very exciting year as we watch the Reserve develop. More trees, some of which were kindly supplied by the Woodland Trust, are being planted. 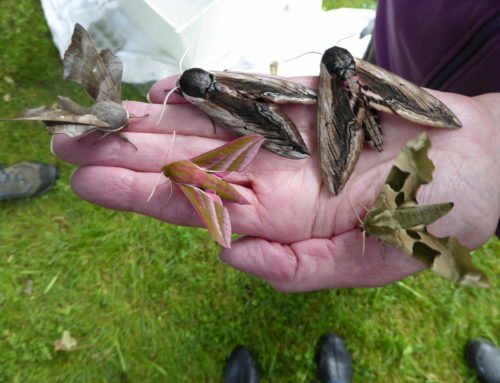 Tree species will include Oak, Maple, Grey Willow, Goat Willow, Hawthorn and Wild Cherry. David is also planting various types of hedging and sowing more flower and grass seeds.